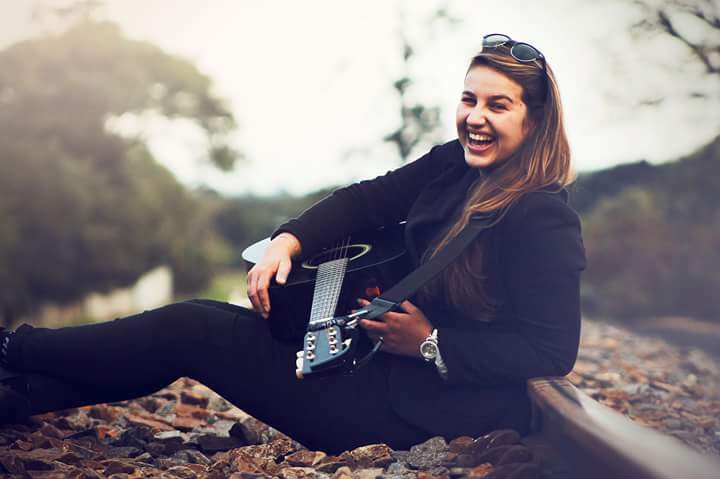 Shaza is a talented vocalist, guitarist and entertainer who delights in performing her own original interpretations of songs selected from a wide range of musical genres and eras from Elvis Presley and Sarah Brightman through to The Lumineers and Rihanna. She can sing both male and female vocal ranges which makes her talent extraordinary. Shaza, originally from Somerset West and now living in Sedgefield, is entirely self taught – an endeavour which started at the age of 4 when she stepped on stage for the 1st time at the Bellville Civic Centre. Her musical success has followed as her popularity grows in the local live music scene. Shaza’s live performances have been enjoyed at The Beacon Island Hotel, Lakeside Lodge and Spa, The Blend, Benguela on Main and numerous other venues, private parties and weddings. Shaza has recently released her 1st own EP Album with cover songs such as “ Walking in Memphis” , “Hey Ho “ , “Hallelujah” and “Nessun Dorma”. In 2013, Shaza won the Garden Route Casino Idols and in 2017 she took part in “The Voice South Africa “. She was chosen as part of the top 100 vocalists in South Africa. Shaza also took part in the television series “Showville” aired on SABC 2 where she earned second place. His musical career is just beginning , Shaza is excited about the journey ahead. Shaza already has the love and support of family and friends, she already has the talent ambition and passion for music.